Sufficient contact-time in combination with a limited air velocity through the packed bed guarantees a low chemical consumption. A new technology of dosing the chemicals. Chemicals are no longer dosed constantly with a constant bleed of unused chemicals. 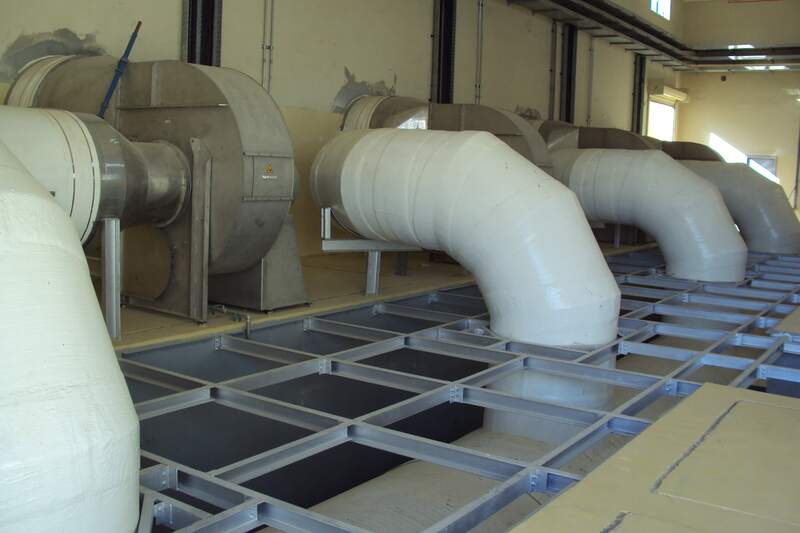 In IPEC scrubbers, the chemicals are dosed based on the actual need. Therefore, using a PLC there is a constant monitoring of the H2S level before and after the scrubber in combination with a monitoring of the pH of the recirculating liquid (and ORP monitoring in case of bleach dosing). Jeddah South Pumping station, Jeddah KSA. 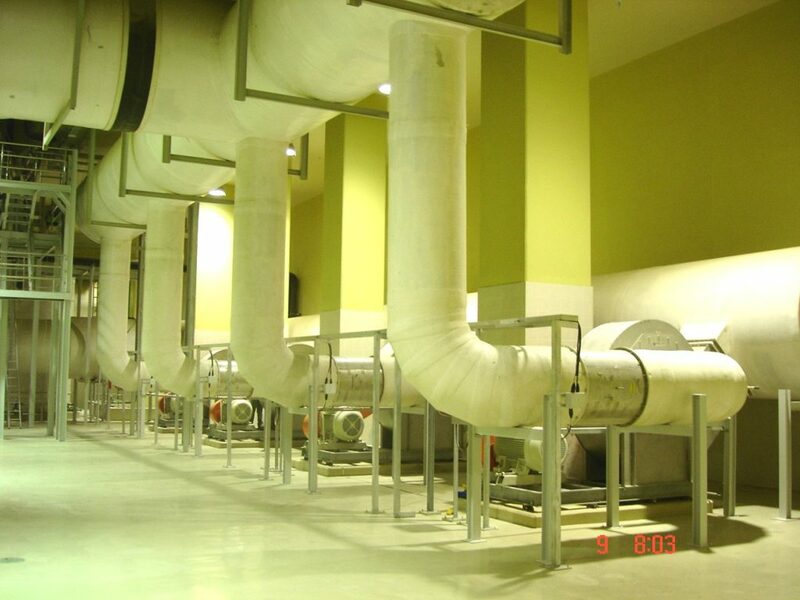 Probably the largest OCU in Middle-East: Jeddah South Pumping Station – Saudi Arabia. 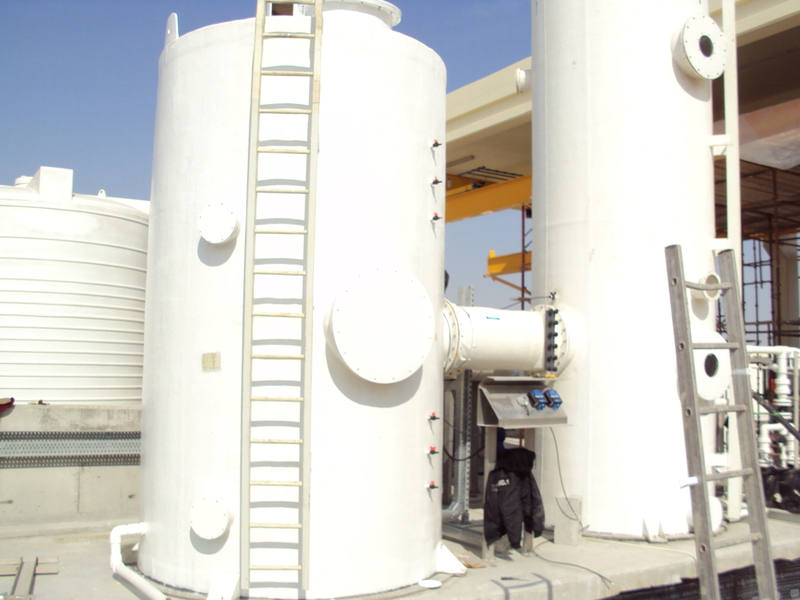 Combination of chemical scrubber and activated carbon: Ain Khalid – Qatar.